Home Documentation What type of Page View goal should I set up? 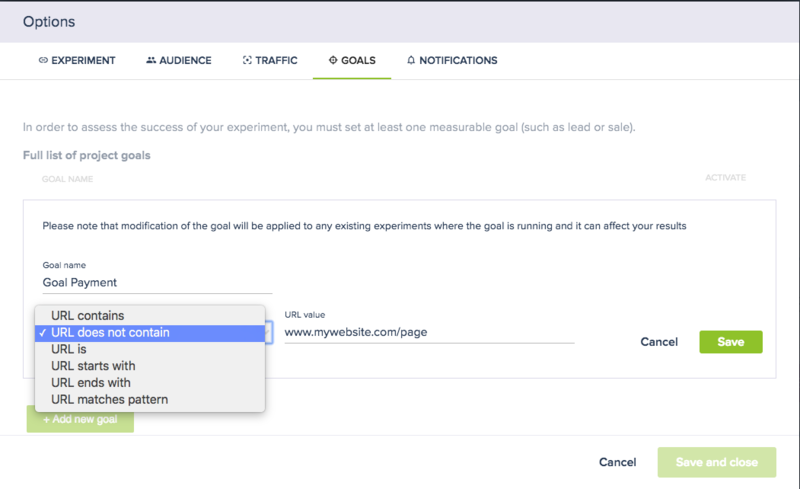 A Page View goal is used to track the number of impressions on a page of a website you are optimising. For instance, if you are optimising a category page, tracking the page view of the product pages will measure whether visitors view more products than with the original page. 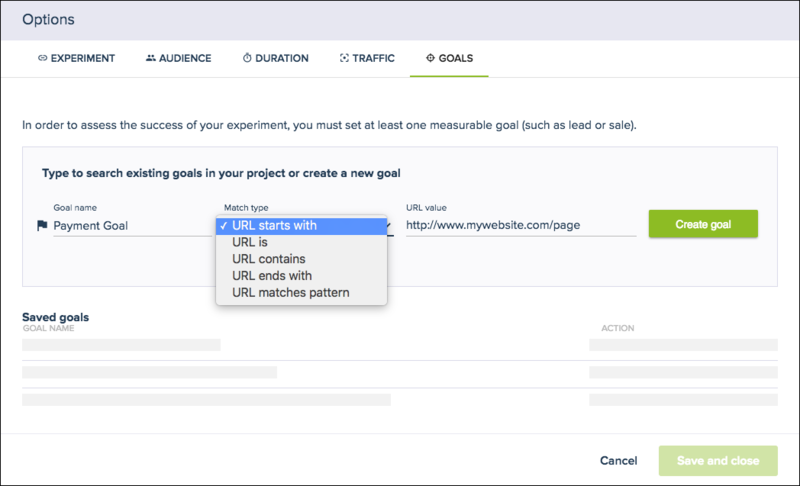 With Convertize, you can track Page View goals using different URL match types. 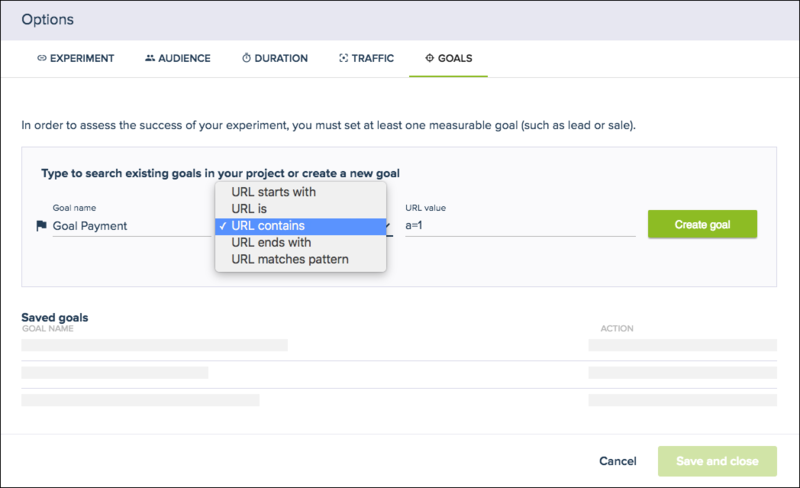 You can access this option from the Editing Room by clicking on the “Options” button (bottom left) and select the “Goals” tab. 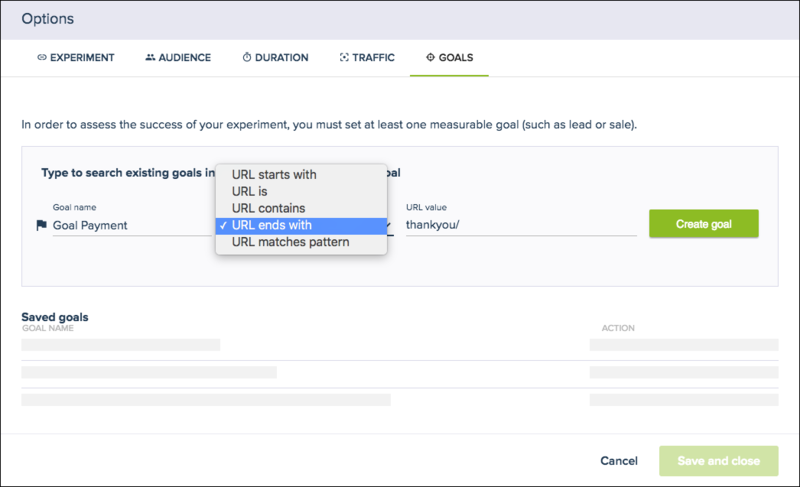 URL is: This is the best match to use when you know exactly which page to track and that the page is unique. Please note you must include http or https at the start of the url for the page to match. URL contains: The URL you enter contains at least the parameter you have specified. URL ends with: The URL ends with the text you specified.